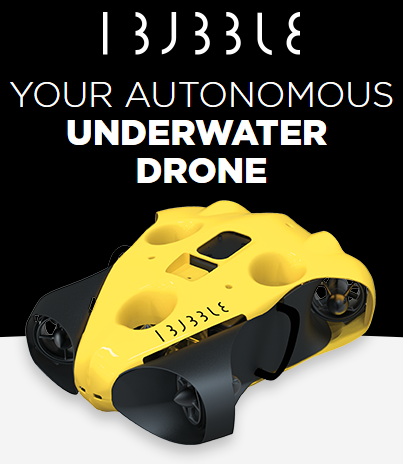 Drop the EcoBoulder Plus in your pool, lake or ocean, no worries – it floats. User adjustable EQ (Treble and Bass). Tune the audio output to match your listening preference. Includes 1/8” (3.5mm) auxiliary audio input jack to play from any wired audio source. Digital AM/FM radio with 5 preset equalizer sound profiles. 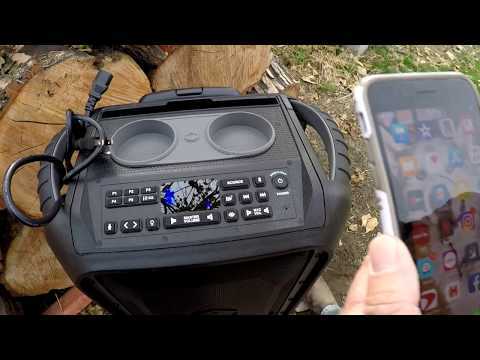 ECOTALK: Microphone built in for Siri & Google support and speakerphone capability. 5V, 2.1A USB port for fast portable device charging. Play on standard AC wall power for continuous play. When using the integrated rechargeable battery you can enjoy up to 50+ hours of playtime at typical listening levels (10+ hours at max volume levels and up to 100 hours on standby or very low volume levels). 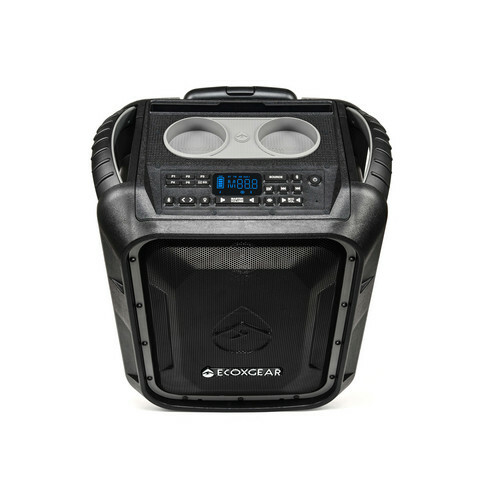 ECOCONNECT: Pair 2 EcoBoulder Plus’s together at a distance up to 30 feet between the two speakers and be completely immersed in sound. 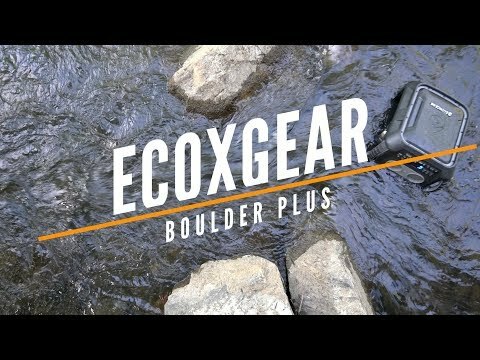 You can pair 1 EcoBoulder Plus to any other ECOXGEAR speaker that supports the ECOCONNECT feature, including the original EcoBoulder..(Note: ECOCONNECT only supports Bluetooth Audio. You cannot stream AM/FM or Aux in audio between the two speakers).